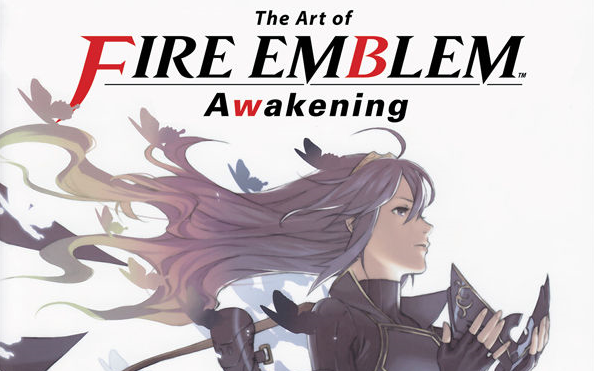 In late 2015 we told you about the upcoming book, The Art of Fire Emblem: Awakening; at the time it was planned for a Summer release. It didn't hit that target, but a retweet by Nintendo of America was a handy reminder that it's now very close. In-depth, behind-the-scenes look at the smash-hit Nintendo 3DS game, from beautifully illustrated renditions of your favorite characters to storyboards for in-game events, character designs, weapon designs, character profiles, and the entirety of the script with every possible branch of dialogue! * The full script—including every possible outcome! It's out on 18th October in North America and 20th October in the UK / EU. If you're in NA you can support Dark Horse Comics by buying direct from its website right here, with the cost being $39.99. As expected, Amazon is undercutting the Dark Horse Comics store heavily, so those options are below, as a hardcover or Kindle / Comixology download. (Please note that these Amazon links are automatically affiliated, with a small percentage of any related sales going to Nintendo Life). It can be a tough call between paying full price direct to publishers (an option for North America) or taking the cheaper deal elsewhere. Either way, this book looks lovely. Are you tempted to pick this up? Wow, this looks nice! And it's by the same guys who make Hyrule Historia? Day 1 buy for me! I hate Awakening so I won't get this. But I hope the upcoming Path of Radiance one (which you can find here https://www.amazon.co.jp/gp/product/4198642176) and the following Radiant Dawn one are translated and released officially in English. I followed this book's availability on Adlibris' website (Swedish bookstore) and ordered it the day they said it was available to pre-order, just to get an email two days later that I'll get refunds since the book was not available. I'm not sure what happened. I don't know if it becomes available again once it's the 20th, if they just couldn't get enough books or what. I'll buy it elsewhere if needed but Adlibris was the cheapest option and they've been fast with the delivery. "It can be a tough call between paying full price direct to publishers (an option for North America) or taking the cheaper deal elsewhere." @Sakuraichu What are you trying to accomplish by saying you hate Awakening? Like okay that's cool to have that opinion if that was the point of your comment, but this is news for an Awakening art book and I assume people interested in reading this are fans of Fire Emblem Awakening. However, the rest of that comment is you linking to the Path of Radiance/Radiant Dawn artbook. What are you trying to accomplish? Dude has just as much right to be here as you. 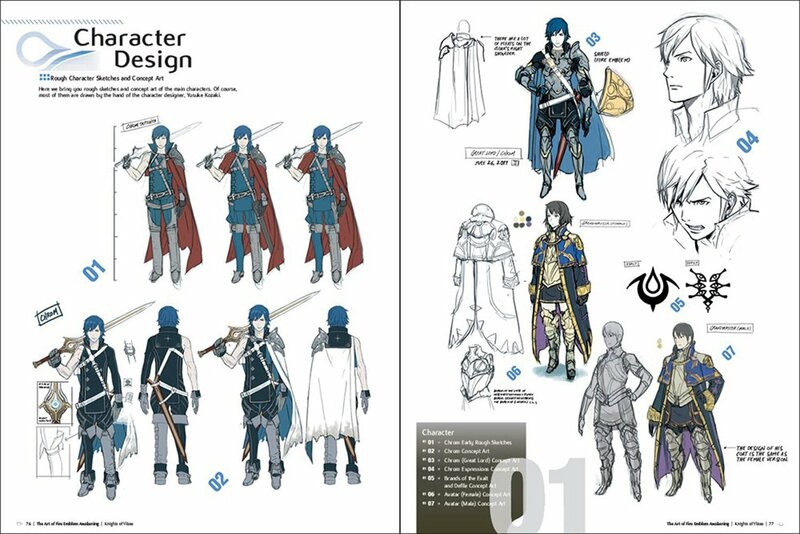 So take the knowledge of an amazing FE9 artbook existing, or leave it. @KO-Cub I said it was cool of him to have that opinion if that was the point of his comment. It wasn't. 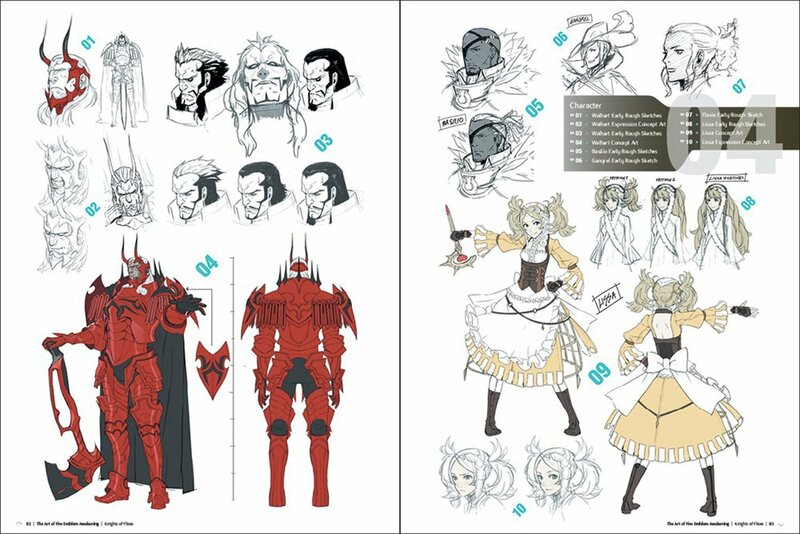 I know that artbook already existed. Thanks reddit. "Leave it?" In no way did I tell that person to leave. I just don't like that person's choice of words and I want to express that. With the way you responded to me, I think I can guess which Fire Emblem games you like the most and which you don't like. Ordered it. It costed me less to import it from UK than buying it in France, that's ridiculous... (it's available since long there). Anyways, I had a chance to see it with my own eyes and I was totally convinced ! Awakening has such an amazing character design. I'll buy! Love Fire Emblem! @IceAnt573 It sounds to me like he was trying to "accomplish" explaining why he isn't getting the book...not really a big deal. If it bothers fans to hear a random stranger say they hate the game, they shouldn't be so oversensitive. Anyway...Walhart looks a lot cooler with dark hair and mustache! Kinda makes him look too much like a few other characters, though, so I understand the change. I preordered this back in January on Amazon UK. Glad it'll soon be here, really excitied for it. I wish they did something similar to this (in English) for every single Fire Emblem game that's ever been released, even the Japan only games. I love Fire Emblem. Bleh. Sorry, just not a fan of this particular artist, he did a little better in Fates compared to Awakening at least, but I'm really hoping they switch up the artist for the next game. @Sakuraichu "I hate Awakening so I won't get this." Unnecessary comment is unnecessary. You could have just, ya know, not said anything if you didn't like it instead of promoting another art book and bashing the game the art comes from. Really doesn't add anything to the conversation besides making you sound like an elitist tool. If that's what you were hoping to accomplish, great job! 👍🏻 Why do people feel the need to attack something from a game they don't like when obviously it doesn't appeal to them in the slightest? If you don't like it, that's fine, but don't be such a douchebag about it. It invalidates your opinion by quite a bit. @Sakuraichu I'd like to thank you for seguing into providing information for other Fire Emblem artbooks, rather than only posting dissent, as every other comment implies. That those games actually released in English gives these books a much higher chance of localization! @KO-Cub Apparently it's not cool to go against the majority in any community, period. Anyways: "Awakening? There's art in it?" I might have to pick this up. Also, no need to start a big fuss if someone doesn't like Awakening. I love the game, but as long as you are respectful in your opinion, there's no need to get upset. Did I like the game or didn't I? Will I get this book or won't I? That added nothing to the conversation. At least an opinion does. If everyone had the same opinion we'd all be playing Call of Duty while listening to Taylor Swift and watching the Big Bang Theory. That's not a world I want to live in. Anyone on this page is likely to be a fan of the series which is good, surely? @Lucina Oh come on now, if anyone's being a douchebag right now, it's you. The guy just said that he didn't want to buy the book because he didn't like the game and posted another artbook that he said he was interested in. It's still relevant and tells people (including myself) about another cool artbook similar to this that they might be interested in (and I certainly am, since it's for one of my favorite games). If you don't agree with the guy's comment, then just ignore it instead of calling him a douchebag and an "elitist tool". @Lucina Well not everyone wants this, so they can comment about how they don't want it. I can't wait to get mine! Gonna take it to my doctor and have the eye of the exault made! Or a smiley face. I can't decide. it's more like if they announced that a new pokemon game would be coming out soon and someone said "I hate the regular pokemon games so i won't be getting this, but i am looking forward to seeing if they ever end up localizing the pikachu detective game"
Never liked the art for this entry. I'm admittedly a fan of the designer for the GBA games (since those are my favorite games, and IMO haven't been topped since). Must say I'm shocked Awakening fans here are so hyper-sensitive that they can't see anything less than adoration for the game lest they amass and attack. You'd almost think you were personally attacked through Sakuraichu's comment. Can't wait for it to arrive. Loved awakening so much! I am curious, though, whether this contains any of the original art which had been censored in overseas releases. Since it's not being sold with the game, or even by Nintendo directly, maybe it can escape the fates of Bravely Second's. Pre-ordered this several month's back. Been a fair wait but still very much looking forward to it. Ooh I preordered this a while ago and had forgotten about it! Now if someone will translate that wonderful Splatoon art book? Btw I would love to get strategy guides for the Fire Emblem games, with focus on character builds, best approach to maps and some art...i wander why we get guides for the likes of Smash and MK but not these games. Yes, it's finally coming out! I've had it pre-ordered since January. Eh, definitely a pass. Really hoping the PoR and RD books get released here, too. EDIT: Looks like I posted the same comment as Sakuraichu, huh.